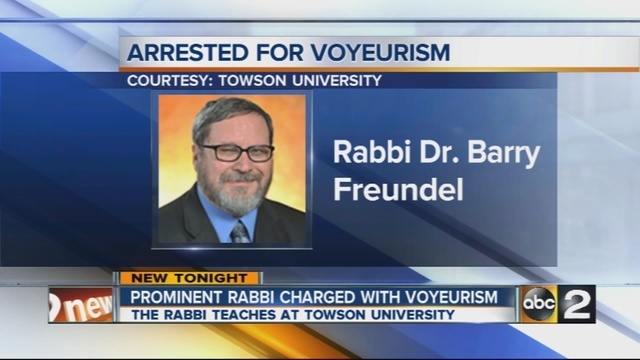 Over the last month the Rabbinic world has been rocked by the Washington, D.C. mikveh scandal, in which Orthodox Rabbi Freundel (allegedly) set up cameras in the local mikveh to record women during their ritual immersion. Karaite Judaism does not believe that a mikveh is required for ritual purity. For us, a shower works. But I’m not here today to tell Rabbanite women to abandon the mikveh or Rabbanism altogether. Quite the opposite. Among the promises I made myself when starting this blog was that I would try my best not to use scandals in the Rabbinic community to promote Karaite Judaism. I do not want to create a movement of purely disgruntled Rabbanites. I want a Karaite movement of Jews who believe that Karaism is the correct form of Judaism today and that the interpretations of the movement are generally correct. Since the mikveh is largely a Rabbinic innovation, I will not offer any solutions here as to how the Rabbanites might ensure the sanctity and security of the mikveh in a manner that is consistent with the Rabbinic halakha. But, if you are disgusted, as I am, by the recent DC mikveh scandal, and if you are a devout Rabbanite, which I am not, I pray that you do not reject Rabbanism or its institutions on the basis of this scandal. As long as mankind is administering institutions, our institutions are susceptible to the moral and ethical frailty of the administrators. The same human frailties that dog Rabbinic institutions haunt all institutions – be they Catholic, Protestant, Muslim, Congressional, charitable, and – yes – even Karaite. In short, it is much better to put our faith in God than to put our faith in man. That is why the fundamental tenet of Karaite Judaism encourages us all to search the Scripture for ourselves and not to elevate the opinions of any individual. That is also why Karaites historically have eschewed the cult of the personality. Of course, we all must demand accountability from those who run religious institutions. And institutions owe it to the people they service to explain what precautions they take to guard against this type of activity. We the people in partnership with our institutions must work each day to ensure that something like this never happens again. We will never survive as a people if we respond to each scandal by turning our backs on our various customs, traditions, and halakha. We will be strengthened if we have more and better people involved in the running of the institutions that help preserve our customs, traditions, and halakha. So, for everyone who believes in Rabbinic Judaism and believes that a mikveh is the proper way to ritually purify yourself, by all means go to the mikveh. If you are a believer, do not throw the Babylonian Talmud out with the guy who oversees the mikveh water. That’s why I always like your blog – you don’t use what’s wrong with a differing opinion as a step ladder to promote Karaite Judaism. Good on you, buddy! While it is very unfortunate that events such as these occur, one bad apple doesn’t spoil the whole bunch. Not to make light of a serious situation, not at all, well maybe a little, but David ended up in a bit of a predicament after watching Bathsheba in her bath, so there is a history in Tanakh a good defence attorney might well be tempted to use out of desperation…I don’t condone the rabbi’s actions, not in the least, but I can say the same for a lot of lawyers and a few interpreters of Scripture. But now I see anything is Allright what has gone wrong? Or is it people wish to be loved by all? Caleb, nice to hear from you. I’m not sure what you are referring to. I am not trying to uphold false ways. 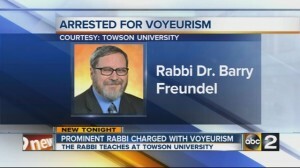 Rather, I am seeking to say this scandal is not a reason to leave rabbinic judaism – if one is a believer. — I am impressed that you were honest enough to concede that not everything is totally correct in Qaraism just yet. Our orthodox brothers in the DC area must feel very violated by this “man’s” action. To feel empathy for another Jew, regardless of the tradition they follow is what makes us “Jewish”- IMHO. Great blog Shawn. Imagine how David felt after his actions were brought to light in his court and the shock of those who put there trust in him. Same goes for those in the DC Orthodox community. We Karaites are not above human weakness. And please spread the word to your Jewish friends about the blog. We need more intra-community dialogue about these issues.